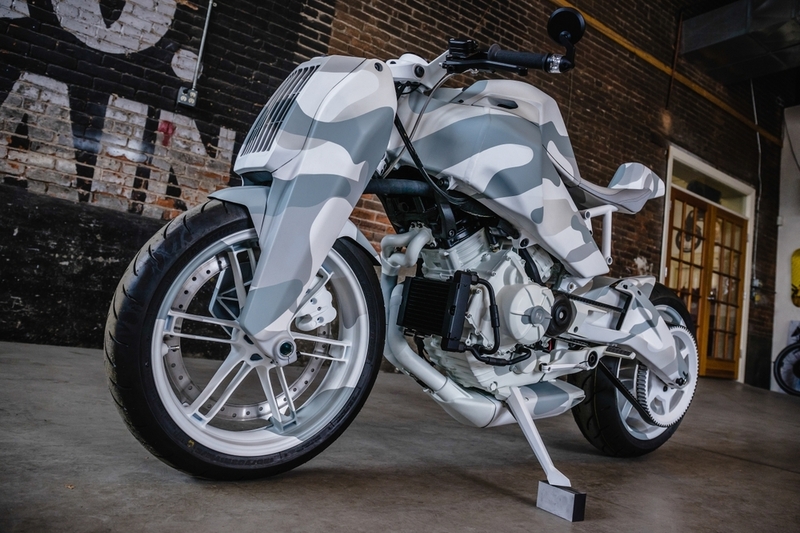 Ronin #10 is the second in a series of camouflaged motorcycles using a pattern developed by Crye Precision. 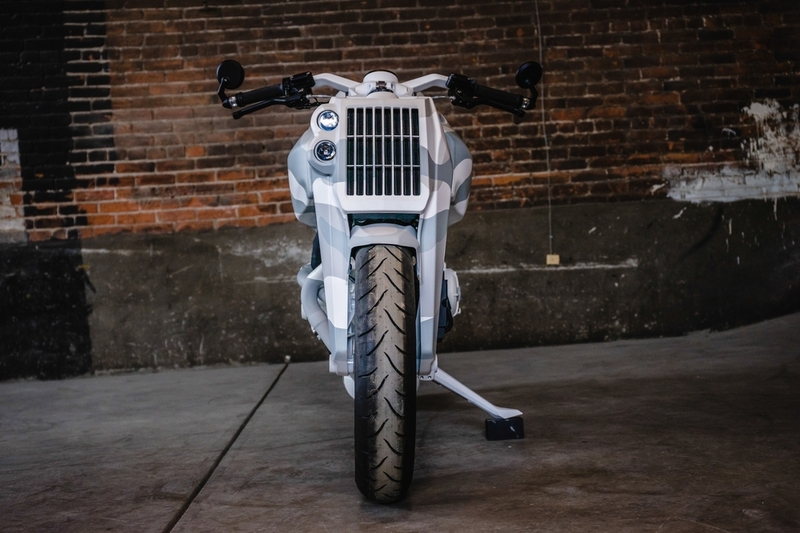 Based in the Brooklyn Navy Yard in New York, Crye Precision designs and manufactures truly innovative equipment for America’s fighting forces. 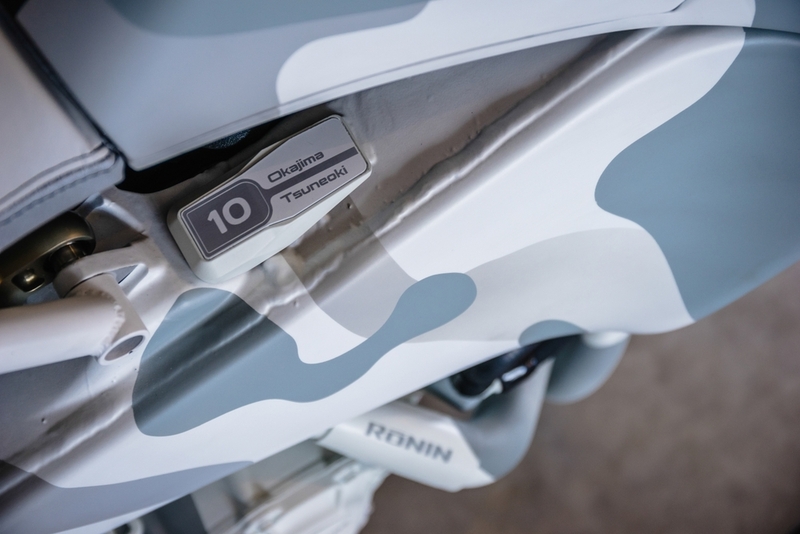 This particular pattern is called MultiCam Alpine and with shades of white, silver, and gray blends into snow fields and winter high-altitude terrain.